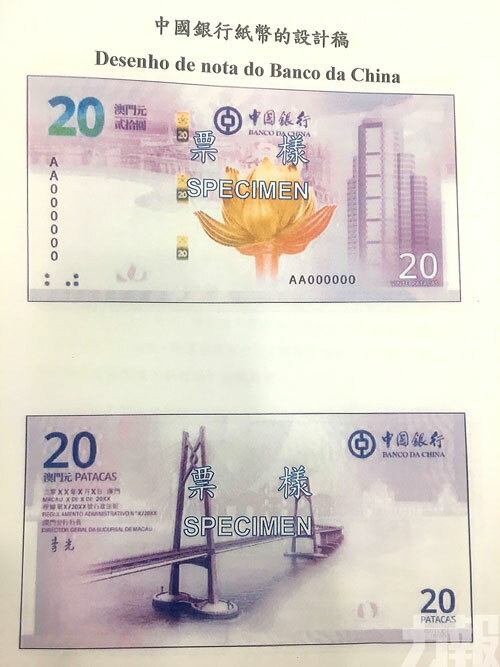 Macau – New banknotes commemorative of the 20 Years of Macau’s return to China. 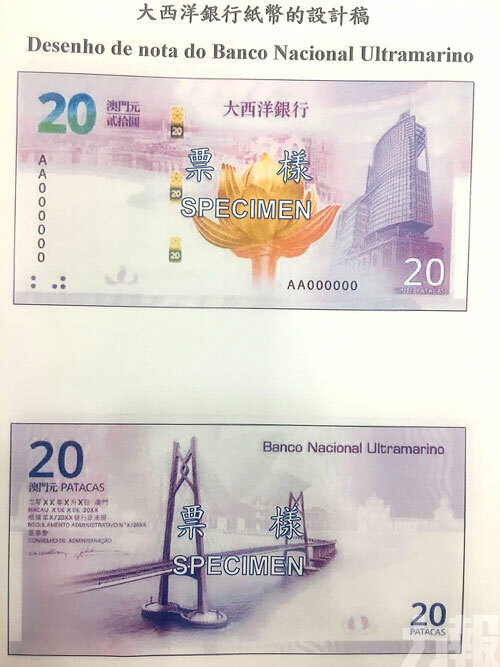 Banco da China and Banco Nacional Ultramarino will issue later this year banknotes of 20 patacas (MOP-BdC20.5 and MOP-BNU20.4) commemorative of the 20th Anniversary of the return of Macau to China. Both notes show in the front the sculpture of “Shengshi Lotus” and their respective Head Office building. In the back the “Hong Kong Zhuahai-Macau Bridge” is depicted. Each bank is authorized to issue 5,000,000 notes. Each Macao resident will be allowed to exchange 10 banknotes.